We've already told you about the best restaurants in Atlantic City, but what happens if you can't get a table at Chef Vola's? (FYI... you can't.) 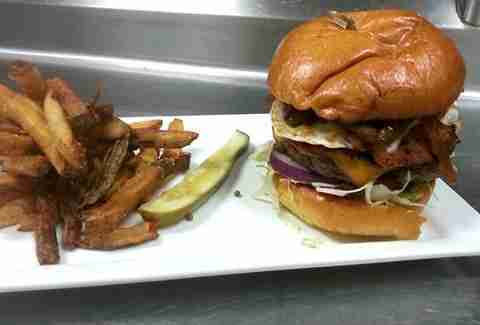 Well, you go out and get one of the nine best burgers in Atlantic City instead, obviously. 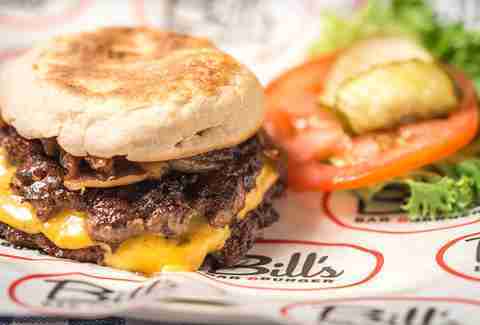 While any burger at Bill’s is good, the Fat Cat (which may or may not have been featured on CNN’s best burger list in 2013) is definitely the way to go: the two Pat LaFrieda patties are topped with caramelized onions, LTP, and butter before being stuck between an English muffin. 16oz of Certified Angus Beef + bacon + cheddar = one happy customer. Don’t forget to finish the side of fries and pickles either. Not up to the challenge? You can always downgrade to half the beef with the Pub Burger, a smaller version that tastes the same, but should keep you from weighing what this thing is named after for a little while longer. Another monster of a burger, the 20oz Kobe Beef Burger costs a measly $43 and comes with mustard, chipotle ketchup, tater tots, and a bun that's wayyy too small for it. 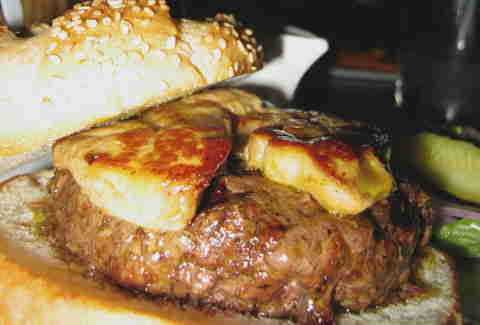 If you’re looking to class up your burger experience, then look no further: this delicious Kobe meat disc is topped with porcini mushrooms and foie gras from Hudson Valley. The Guinness BBQ is by far their most popular burger, but we think the beef patty, Taylor pork roll, caramelized onions, fried egg, and melted cheddar cheese that are combined to create The 609 are also the definition of a perfect AC burger. 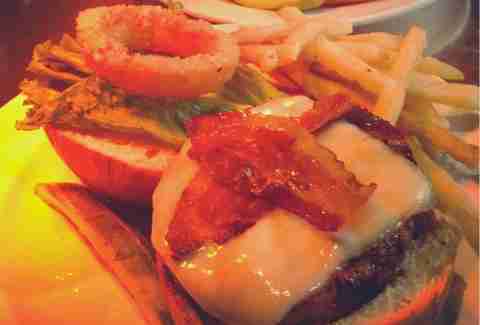 Named after the family who owns the Palm, this burger is doing the name proud. It’s given an ice bath to congeal the fat before being topped with aged Gouda, BBQ sauce, fried onions, and dusted with porcini and kosher salt. 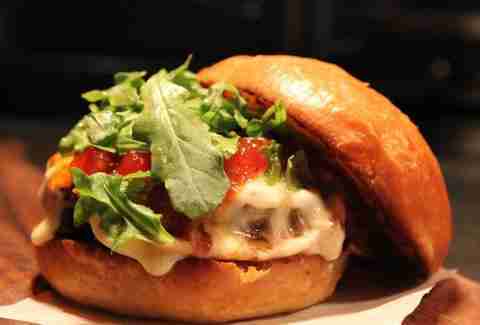 And the tastiness doesn’t stop there because it’s all put on a toasted brioche bun. 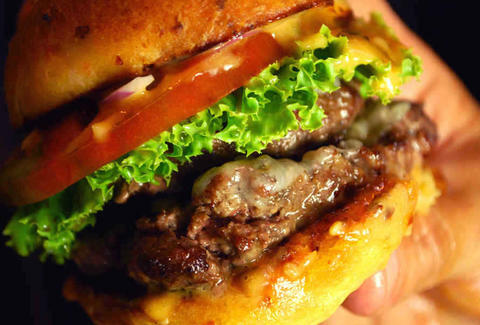 Looking for a great burger but don’t want to get too crazy? 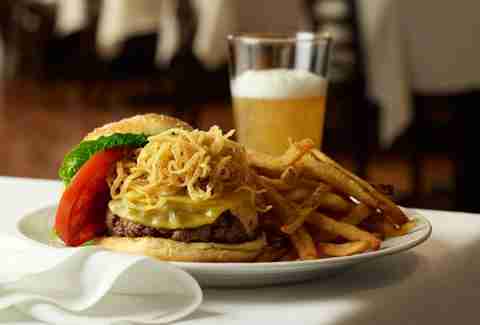 Then the Teplitzky’s Burger is for you. 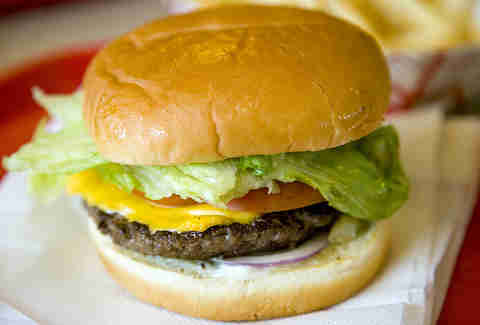 The thick, juicy 8oz patty is topped with tomato, cheddar, and lettuce. The best part? It’ll only run you 12 bucks. 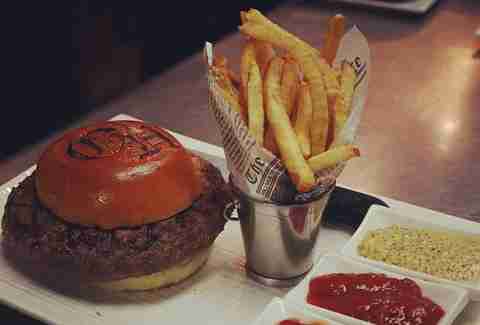 Many think this is THE burger to get in AC. That might have something to do with the fact it’s got smoked mozzarella, BBQ tomato jam, and arugula tossed with balsamic vinaigrette before being served to you on a griddled house-made brioche bun. Or it might be because... wait, nevermind. That's totally why. 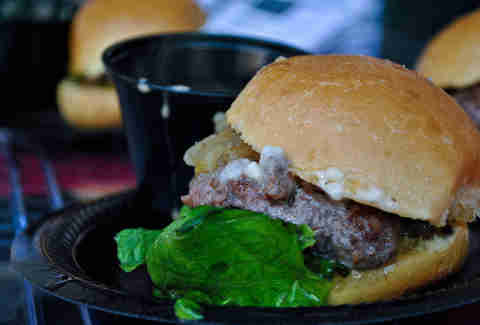 These aren’t your everyday sliders from Applebee’s, or White Castle (hmmmm... White Castle). No, these small beef patties are made with Kobe beef and cooked to perfection. Then the chef adds loosely cracked peppercorns and caramelized onions before covering it all with the Mother of all French sauces: a blue cheese béchamel.